Addis Ababa, Ethiopia, June 18, 2013—Faisal Islam, CFTC’s new Monitoring & Evaluation Manager, and I arrived in Ethiopia on Sunday, both of us exhausted after a long cross-continent trip that finally landed in Addis Ababa, the nation’s capital. As always, Canadian Feed The Children’s Ethiopia Country Representative, Gebriel Galatis, was on hand to meet us and to brief us on the days ahead. I was looking forward to a night of much-needed deep sleep. Being a Sunday, I expected that everyone else would be like me, looking forward to resting in preparation for waking up energized and ready for another week of service. I was therefore surprised to be greeted by much honking, shouting, flashing car lights and general boisterousness as we drove out of the airport into the city streets! At first, I thought that the noise was being made by drivers frustrated by being trapped in traffic jams normally found around busy international airports. Then I quickly changed my mind and decided that I was wrong, and that Addis residents preferred to end their weekends with much gusto – which I thought was strange, but not surprising; after all, every major city has a unique identity. Gebriel soon let me know that I was wrong on both counts. 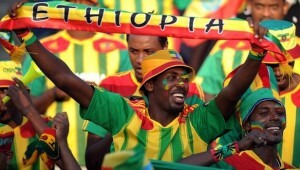 The reason for the honking, yelling and celebratory spirit was the achievement by the Ethiopian nation at a just-concluded sporting event! When I was in Ethiopia last year, I began my first blog writing about Ethiopia’s celebration of their success at the London Olympics, where they had won medals in a number of significant athletic events. 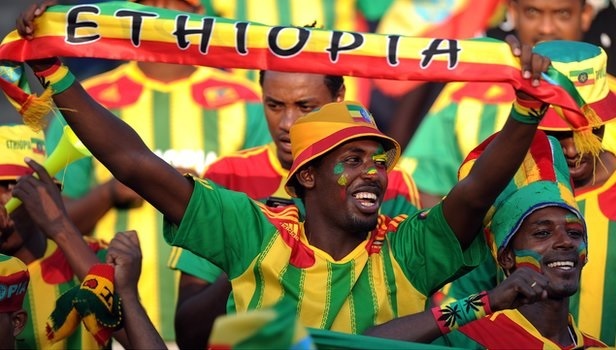 However, this win by the Ethiopian football team, taking them to the next step towards the World Cup final to be hosted in Brazil in 2014, surprised everyone. 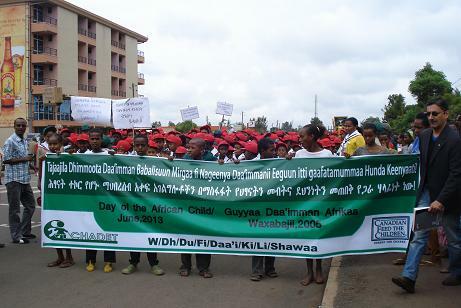 And the result was lots of enthusiastic honking on a Sunday in Addis. 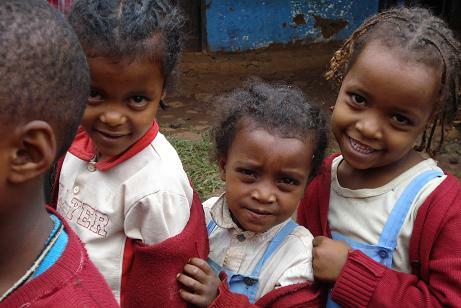 This kind of athletic progress mirrors Ethiopia’s steady progress on development goals. Called a “trailblazer” in ONE’s 2013 DATA Report, Financing the Fight for Africa’s Transformation, Ethiopia has made significant improvements, especially in reducing extreme poverty, hunger, and child and mother mortality rates. On Monday morning (thankfully I did manage to sleep through the celebrations), Faisal and I travelled to Woliso district to spend two days with our local partner CHADET. During the visit, we continued in the general spirit of celebration as we visited the Early Childhood Care and Education (ECCE) centres where young children participate in various classes, from kindergarten (KG 1) to KG 3. 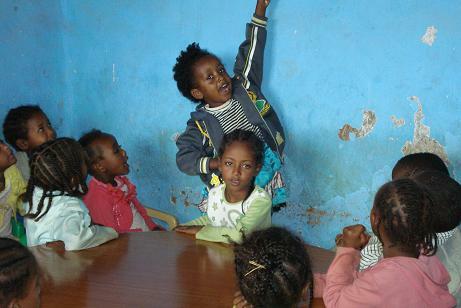 Children in a kindergarten class supported by CFTC partner, CHADET. Last year during my August visit, schools were already on summer break and unfortunately I did not have the opportunity to meet with the children. This year however, children were in school and were celebrating the end of the school year. For those in KG 3, it was time to say goodbye to kindergarten and prepare for the transition to primary school Grade 1. Talking to Fantu Sheleme, one of the teachers from Gelila ECCE, she said it is always fulfilling for her to see children who arrive in Grade 1 knowing nothing, and then see them leave KG 3 feeling confident, knowledgeable, and ready to take on the world of primary school! The highlight of the celebratory mood was joining children from all over Woliso to commemorate the Day of the African Child celebrated annually on June 16th. It was exciting seeing children of all ages come together to celebrate their achievements while at the same time urging parents, guardians and adults to do more to protect the Ethiopian child. The day was both a celebration and a call to action. Day of the African Child celebration. 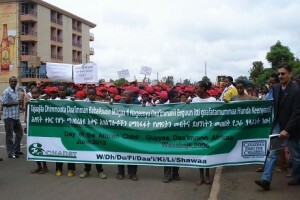 And so while my first day in Ethiopia found me walking into a countrywide celebration of an unexpected event, my last day with CHADET in Woliso was another countrywide celebration – but one with a deep and far-reaching message: Children are the future of tomorrow but only if we invest in them today. 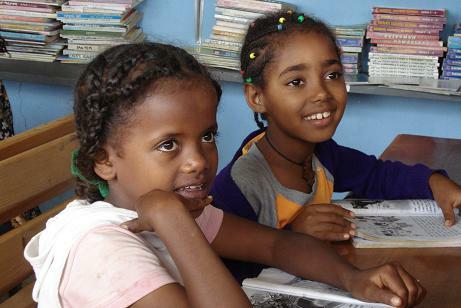 And CFTC, with Ethiopian partner CHADET, is doing its part by focusing specifically on the right of the child to education. I wonder what we will be celebrating tomorrow? !